(BGF) – Over the past fourteen months, in the wake of the Tazreen Fashions Fire in Dhaka, Bangladesh on November 24, 2012 and the subsequent Rana Plaza collapse in April 2013, the issue of worker safety and rights has seen a surge in global attention. The New York Times (NYT) has continuously covered the issue, both in the aftermath of these tragedies as well as the ensuing debate on what measures ought to be taken. Moreover, their coverage has highlighted the impacts these tragedies have had on the lives of the victims. A recent editorial published by the NYT on December 20th, 2013 focused in on the financial hardships facing victims of the Rana Plaza collapse. As the editorial noted, many victims suffered debilitating physical and mental trauma that has left them unable to work. Consequently, the victims are struggling to make ends meet and, in some cases, have even sent their children to work to help make up for lost income. This is coupled with the lack of financial support from the Bangladeshi Government and many of the brands who utilized Rana Plaza. While the Bangladeshi Government has collected private funds designated for the purpose of taking care of victims and their families, the Bangladeshi High Court has stated that the funds will not be fully distributed until every dead body has been identified. The brands and companies, on the other hand, have largely turned their focus towards disaster prevention rather than relief and support for victims. Thus, only a handful of brands and companies, including Primark, have committed to providing compensation to victims and their families. With pressure rising, it did not take long for some brands and companies to take action in conjunction with the Bangladeshi Government. Only days later a $40 million fund was announced to compensate the victims of the Rana Plaza collapse. The fund should begin disbursing compensations in February 2014. As such, each victim’s family would receive approximately $25,000. Moreover, this fund is remarkable in that it represents contributions from only a modest number of companies and brands. To date, no U.S. brands or companies have contributed to this fund. Yet, the distribution of the fund will go a long way towards helping the victims of Rana Plaza and their families. Going beyond the impacts that the recent tragedies have had in Bangladesh, the NYT has highlighted the difficulties that lie ahead for any efforts to improve working conditions and to ensure that future tragedies are prevented. For example, the lack of direct contact between buyers and suppliers, gaps in federal procurement policies, and foreign policies that have the unintended consequence of creating a “race to the bottom” have all contributed to the purchasing of goods produced in unsafe conditions, including in Rana Plaza. As Ian Urbina of the NYT has noted, this is even occurring in the procurement policies used by agencies of the United States Government. Moreover, the sheer power of the garment industry has hindered efforts to improve worker safety and rights. As Gardiner Harris noted in an article on December 22, 2013, the power and economic importance of the garment industry in Bangladesh has led the Bangladeshi Government to protect factory owners against unionization efforts and has resulted in the failure to prosecute factory owners who ignore safety protocols. 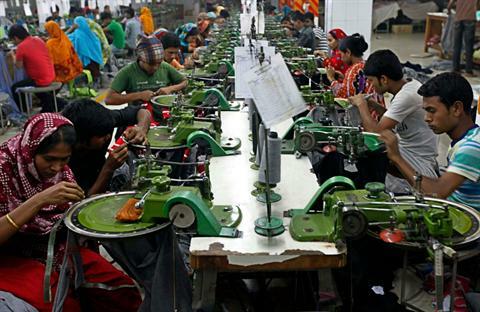 Thus, the recent decision to charge the owners of the Tazreen Fashions Factory, which burned to the ground killing 112 workers, with culpable homicide marks a significant step forward. As the NYT coverage indicates, there is a complexity to the issue of worker safety and rights that must not be overlooked. While consumers are sensitive to increases in the cost of clothing items, this must not hinder the safety of garment factories globally; while preventing future catastrophes is of the utmost importance, it must not come at the expense of ignoring the needs of the victims of past tragedies, such as the Tazreen Fashions Factory fire and the Rana Plaza collapse; while improvements in worker safety and rights will require punishing factories that ignore safety regulations, these efforts must be sensitive to their impacts on the lives of the workers who rely on the garment industry for a living. This broadened awareness of the issue must guide our efforts to improve worker safety and rights, and the human element, which ultimately drives these efforts, must not get lost in the fray.